Anywhere from $1k for St. Marshall registration to over $60k for an FCA one. In addition, let’s not forget the $100k minimum account balance to apply for a simple FX License. - Scalability (The presence of the license will not guarantee you clients). Realistically estimate how many clients/what type of volume you will get at the start; open the bank account with a few different venues; work with payment processors while you are waiting for a full bank set up. As low as $3k and as high as $100k upfront cash expenses plus some monthly volume /license fees. 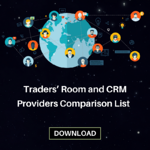 Platform choice should reflect the demands of your particular geographical region; make sure your technology provider has good reviews from industry veterans. Add in the cost of some essential Plugins: Bridge, Multi Account Manager, Social Trading, Swap update logic, and so on. Usually the Liquidity Provider will not ask for a setup fee, just trading commission with some monthly minimum. Be ready to deposit at least $50k for PoP provider and less for the regular LP. From $3k to set up and $1k monthly (depends on functionality). Don’t underestimate the importance of this element. End clients can easily spot a WordPress free template or a lousy made client portal. Anywhere from 0 to $100k and up. 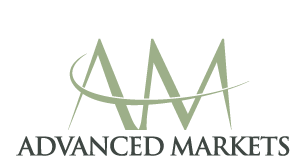 Understanding the specifics of FX-related marketing. 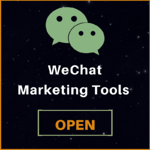 I have to mention that it is a common practice these days for companies, offering an All-in-One deal, to offer you some clients at the start. Don’t be surprised that these 5-10k client databases have also been distributed to your competitors and serve no use in real life. Tips: Find your own uniqueness. Focus on developing and promoting it. Add value. One of my clients embraced his local presence by organizing Friday FX parties. I also have to mention that “Package Deals of all 5 elements” are somewhat challenging; do a proper evaluation. 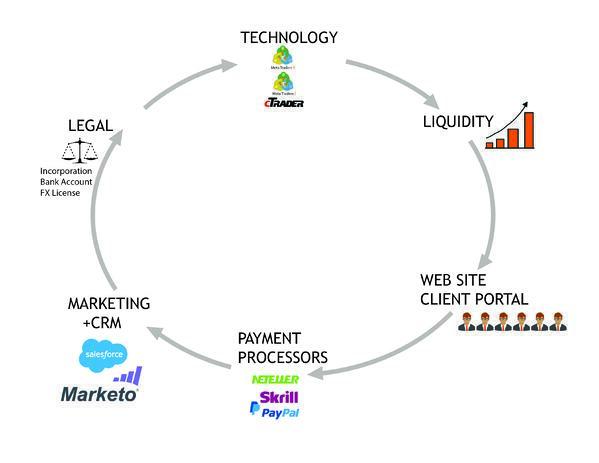 You will be locked in to one liquidity provider, one technology provider, and one CRM/Trader Portal company. Since one company physically can’t manage all of this, you will end up dealing with the reseller and all of the problems associated with that. For example, if at some point, you become unhappy with the Bridge provider, you cannot just switch. 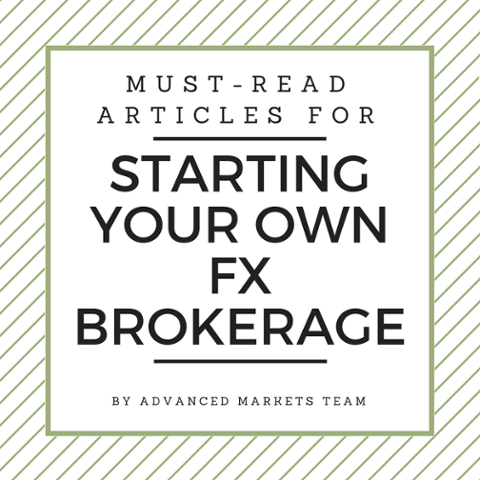 From my experience, the most successful brokerages are founded by ex-employees of bigger brands or existing IBs that are aware of the challenges and can easily navigate through the competitive FX space. Unfortunately, some in this industry portray the SYOB business as a low-cost, fast return, money-making machine, resulting in many failed attempts and costly disappointment. Don’t be misled.